We often get asked whether magnetic car stickers scratch and damage the paint of the vehicle. We have not yet received such cases, but there is a small chance that it could happen if there is water trapped between the magnet and the car’s surface and it hasn’t been taken off for months. Fading of the paint around the magnet could also happen on older vehicles which are painted with old technology. What could happen is that the paint on the vehicle fades evenly in the sun over time, except for the part cover by the magnet. We would recommend removing and cleaning the magnet once every two to three weeks. 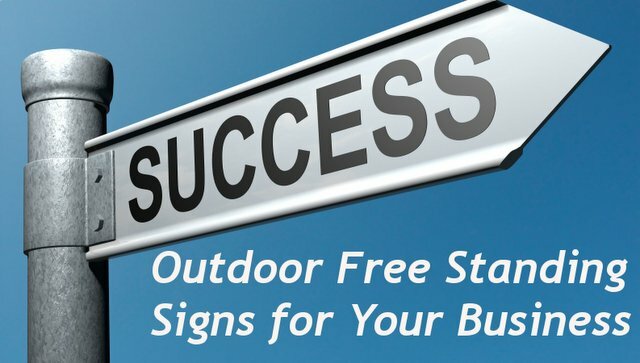 The main advantage of car signs is the fact that it’s like a billboard on wheels – your ad is ‘Live” 24/7. For more information, please visit our website at www.car-wrapping-pretoria.co.za. Our team has over 10 years of experience in the art of car wrapping and signage. We do both partial branding on cars, bakkies, trucks and vans, as well as full wraps on most vehicles. In the case of a full colour car wrap, we use vehicle grade cast vinyl, because it is very easy to apply and stretch. Vehicle grade cast vinyl is made from the most expensive raw material. 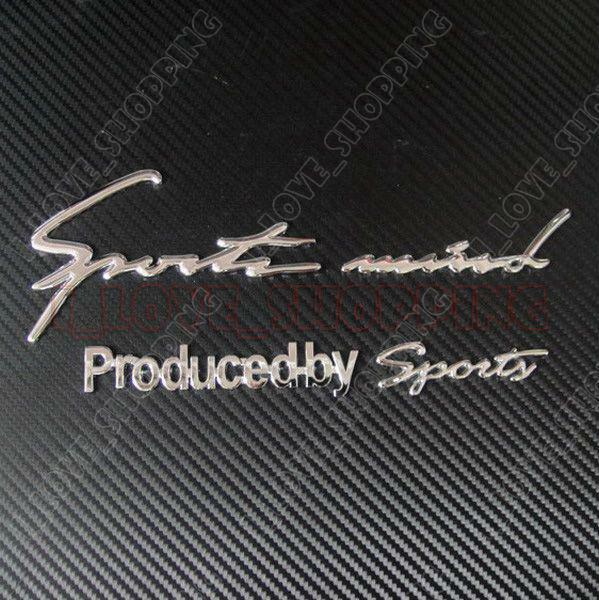 It’s very thin and it can easily expand and contract, which makes it very different from monomeric vinyl that we use for bumper stickers and license disk stickers for example. With low quantities (about 2000 and less) we print digitally and with large quantities we do lithograph printing. So it’s not really worth ordering low quantities because the competition is usually very large for products that are bottled and one wants to spend the minimum on packaging and labels. We often get customers asking for the price on the bottle labels, but they do not give a size, only the volume that the bottle can take, e.g. 500 ml, 750ml or one litre. Please keep in mind that the size of the bottle for the label one requires is irrelevant. There is no standard size of sticker for each bottle size compared available. You need to tell us what it is that you would like. The most common bottle sticker we print is a wine label, the size of a 750 ml wine bottle is approximately 180 x 120 mm and the cost for each is R6.20 exuding VAT. Unfortunately, we cannot stick the bottle labels for you, except in the case where we do wine labels. We ask R8 to stick a wine label. It is relatively expensive because it is stuck by hand and we worked our prices out based on our labour rate. We do a wide variety of different stickers; bumper stickers, license disc stickers, domed stickers, gel stickers, Contra Vision (also known as one-way vision), sandblasted vinyl, car stickers and so on. 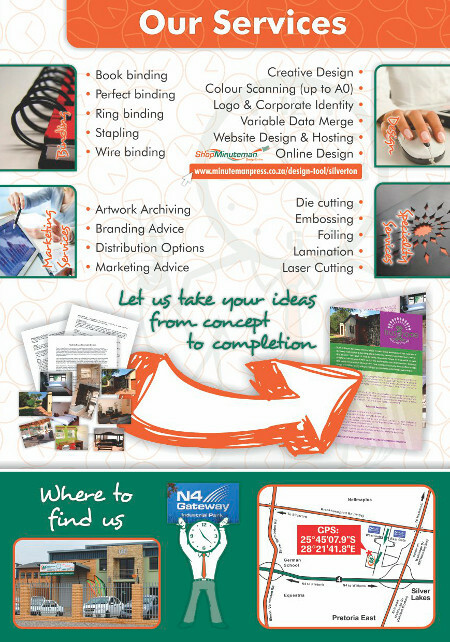 Please feel free to inquire if we can assist you with your particular sticker needs. Magnetic car stickers are very popular because they are applied within seconds and can be easily removed. Domed or gel stickers are mainly used for promotional items such as calculators, laptop cases etc. They are regular stickers digitally printed and then coated with a strong glue-like substance (resin) and placed into a kiln to set. It takes about 8 hours for this resin to set. The maximum size we can dome a sticker is about 1000 square millimetres, which is equivalent to 10 x 10 cm. 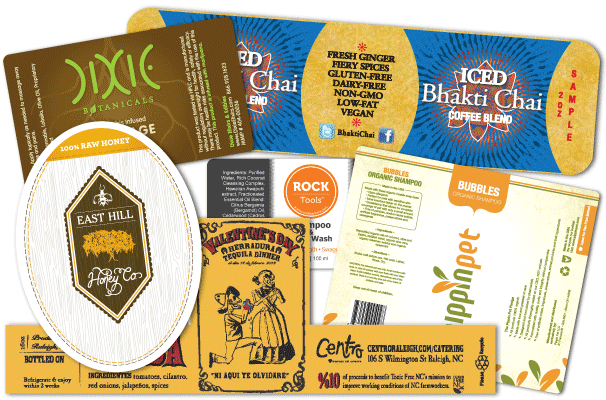 Orders for domed labels/stickers take approximately 5 working days to complete, depending on the size of the order. Digitally printed fridge magnets are very popular. They could be used privately for family photos or commercially for advertising purposes. We buy the magnet in panels of 1000m x 700mm and in rolls of 610mm wide, which means that no larger magnet stickers can be ordered with us unless the artwork is split and the stickers are placed next to one another. A question we often receive from customers is will the magnet stickers easily blow off from a vehicle and the answer is a definite no. However there was an instance where body putty was used on a vehicle, this hindered the magnet’s ability to stick to the car door. This might also be an issue where there is a large dent on the door where the sticker is placed. Should you accept a quote from us to brand your car and would like to go ahead with the order, a Redblock agent will make arrangements with you to bring your vehicle +- 4 days later to our premises before 09h00 in the morning. If we need to apply more than +- 3 square meters on the vehicle, we will probably ask you to leave the car overnight with us. Coloured vinyl, like we use in the case of vinyl cut out, has the longest life expectancy as the colour is added in during manufacturing. This means that it would take about twice as long to fade in the sun. Full colour digital print that is laminated (recommended) tends to start fading after about 1.5 years if it is exposed to direct sunlight for more than 4 hours per day. The signs of fading usually start on the bonnet, where most cars’ engines are located. It will start to fade because of the constant heat to which it is exposed. We print these stickers on digital monomeric vinyl. Because this digital printing process, it influences the amount of colours that are printed onto the stickers, not the price. There is no standard size when it comes to bumper stickers but on average it is about 250 x 70mm. The cost of such a sticker is about R6 each, VAT exuded. The minimum amount to order these stickers is 50 stickers. Bumper stickers can be laminated with clear vinyl and to do so it will cost an extra amount of R2.50 per sticker. Contravision or one-way vision is generally stuck to the rear window of vehicles and on shop windows. What makes this one-way vision vinyl quite popular is the fact that one can see from the inside to the outside, but not vice versa. In other words one can see from the inside out, but not from outside in. This vinyl is commonly used for rear windows of vehicles but has the disadvantage that it could obstructs the driver’s vision slightly. The rear wiper cannot be used on this vinyl, due to the fact that one cannot laminate Contra Vision so the wiper will rub the printing off. If you do laminate it, it will then lose its effect and you won’t be able to look through it. We distinguish here between magnetic car stickers and fridge magnets. The main difference between the two is the thickness of the magnetic sheet used. The magnetic car stickers get printed on a thickness of 0.6 mm magnet sheet which we then laminate for extra protection. Fridge magnets get printed onto 0.4 mm magnetic sticker and as a rule we do not laminate. License disk stickers are printed using the same method as our other stickers. They are round, 90mm in diameter and placed on the inside of a vehicle, stuck against the window and the goal is to attach your vehicle license disc. An order for bumper stickers takes approximately 3 working days to complete if it’s digitally printed. It will take about 7-10 working days if we litho print it (larger quantities). We can also screen print license disk or bumper stickers but it does not justify if the quantities printed are less than 2000 stickers, depending on the amount of colours in the design. Our staff consists of 12 members of which 4 deal with taking orders for customers. These agents have an average of 3 years’ experience in the industry and have gone through intensive training to assist you as a professional and to deliver service as quick as possible once the order comes through. Our average factory worker has about 12 years’ experience in the industry. 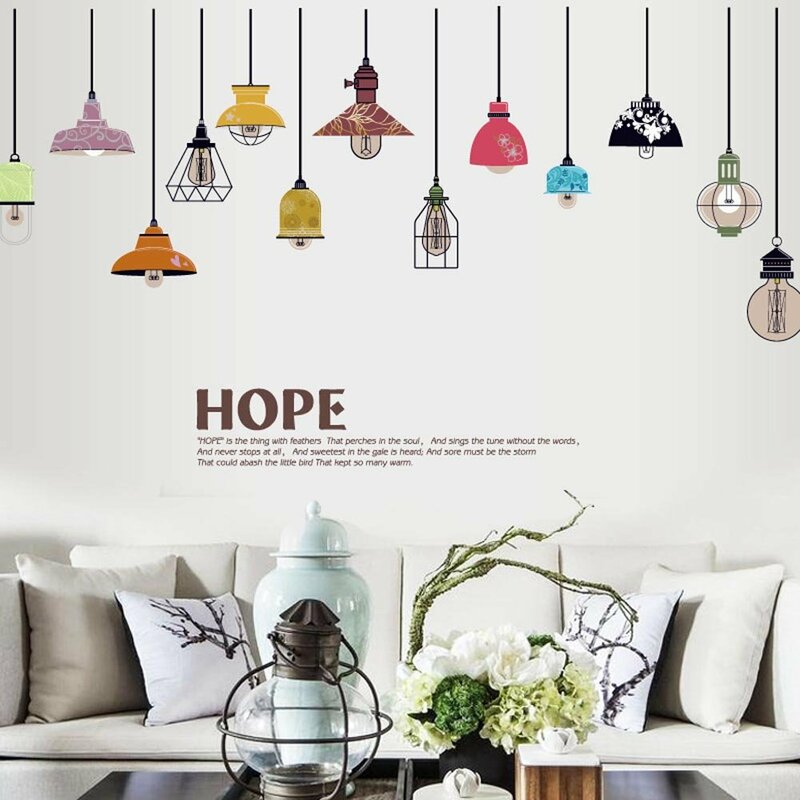 Our standard operating procedure in our company is to send out design proofs before we continue with the actual production, this insures that both parties check the work before completing the order. The idea for sandblasted vinyl is to give the effect of a sandblasted window the traditional way. Sandblasted vinyl has a durable look and is usually used at upmarket offices against windows for privacy. It is very popular for the use of glass in open plan offices. 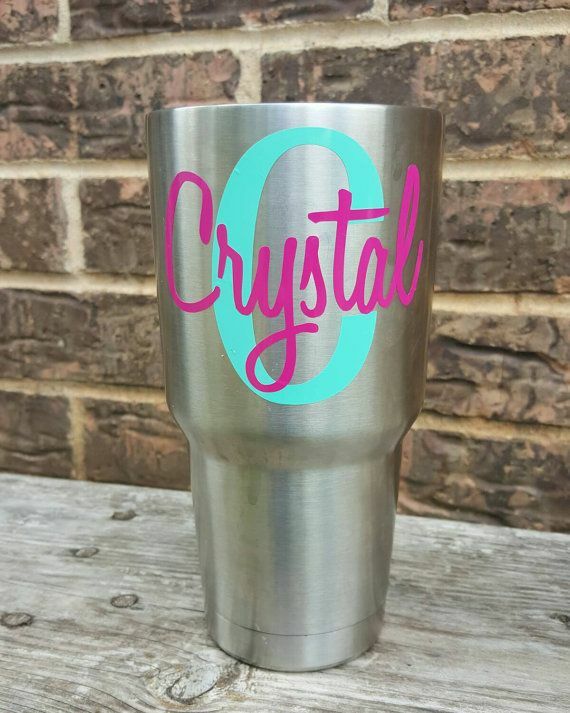 The idea is to cut out the logos from a solid sandblast sheet so that the logo stands out on the glass. Or you could cover a window with shapes, solid sandblasting or printed sandblasting vinyl. 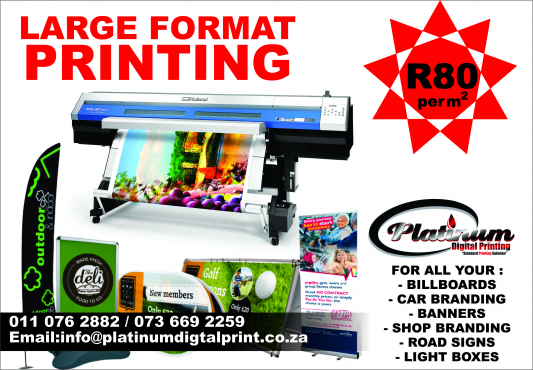 We have been around for just over 20 years and mainly we specialize in large format digital printing with a wide variety of related products such as flags, banners, signage, name badges and a variety of other products which are aimed to market your business. Our target market is focused on small businesses and companies. A large percentage of our customers are brokers who sell our products to their clients. 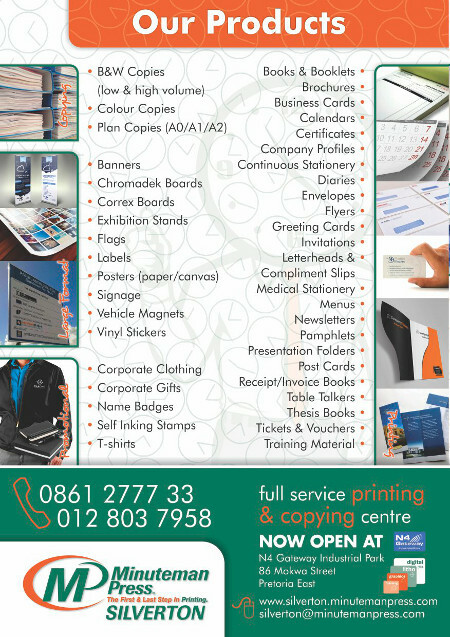 We do the printing work in-house in Pretoria. We also have a small office in Fourways where clients can pick up orders, drop off samples, place orders, discuss products etc. 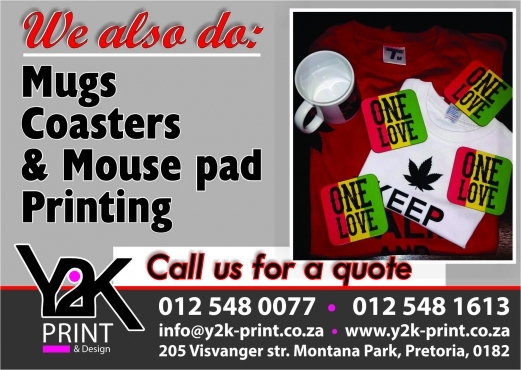 Most of our clientele who order our stickers, signs, banners and related products are located in Pretoria East, Centurion, Sandton, Fourways, Roodepoort and surrounding areas. If you are looking to brand between 1 and 3 vehicles, it would be best to bring the vehicle to our office for branding. When we do fleet branding however, we can arrange to do the branding on site. We can also brand three vehicles on your site, but it will be 30% more expensive if we work on your premises. The reason is not only the fact that we drive out to you, but also because it can often happen that we would need to reprint a section of the branding. This back and forth driving could become expensive and is time consuming.